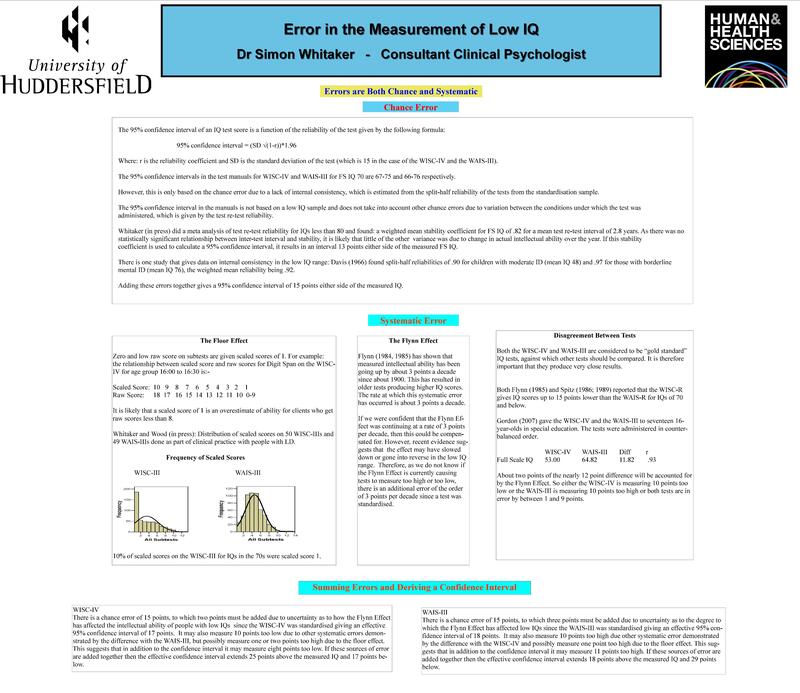 The measurement of Low IQ is subject to far more error than has previously been acknowledged. The five point error that is usually acknowledged only takes into account the internal constancy of the test. When other errors due to changes in assessment conditions, the floor effect, the Flynn Effect and the lack of consistency between test the error is about 18 points.